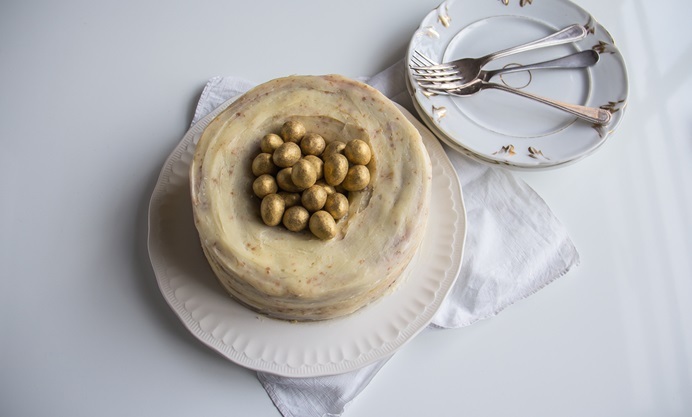 This fantastic Easter cake recipe from Rosana McPhee is a superbly elegant elegant take on Easter baking. The beautifully light sponge is delicately flavoured with brandy, while the icing is laced with almonds and brown butter. 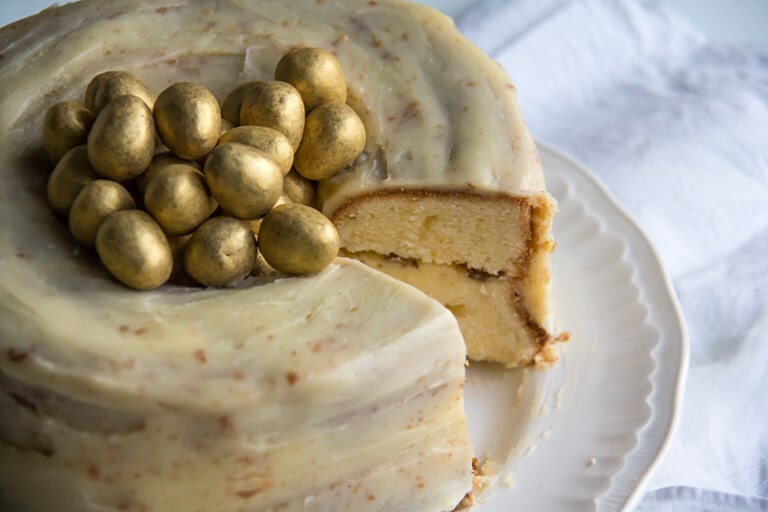 Surprise the family with this delicious cake stuffed with Easter eggs and glazed with a luxurious almond icing. Presenting this cake at the end of your meal is a fantastic way to finish a special Easter menu. This recipe is a great alternative to the chocolate treats, fruity hot cross buns, Simnel cake and Chelsea buns that are traditionally eaten at Easter time. The tradition of Easter eggs, a Christian symbol of fertility dating back to the 19th century is, however, still very much alive in the decoration of this masterpiece. This recipe is a real crowd pleaser. Happy Easter!